No matter if it's roaming the countryside, relaxing in natural healing spas, enjoying some native beers, or exploring the history and castles of the Czech Republic, travelers here will find plenty to do. 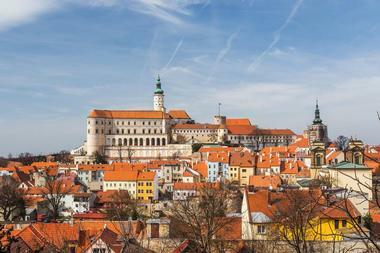 Visitors to Cesky Krumlov can explore the crown jewel of Renaissance architecture in South Bohemia. Hrensko is the gateway to exploring Edmund Gorge as well as, for the truly adventurous, Wild Gorge. 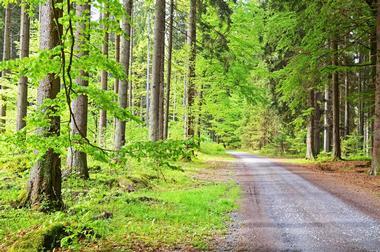 Krivoklat in Central Bohemia is a nature lover's paradise and a significant European bird sanctuary. 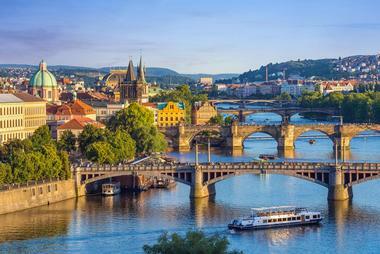 Traveling through the Czech Republic would be incomplete without visiting Prague, considered one of the world's most beautiful cities. There is probably no area in the Czech Republic that is as unspoiled by humans as the Brdy Mountains in Central Bohemia. The rolling hill country 50 km southwest of Prague is a natural treasure of preserved ancient forests crisscrossed with lakes and creeks. The rugged terrain is devoid of tourist amenities, making it a rare off-the-beaten-path destination. The likelihood of the area remaining pristine is high, since it was declared a protected landscape in 2016. A portion of the protected area is open to the public, where hikers and bikers can make use of primitive trails. The goal is to eventually include 450 km of marked trails. 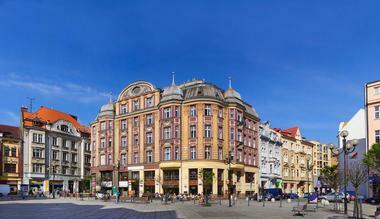 Brno is a city of contradictions, ancient and rich with history on one hand and modern and innovative on the other. 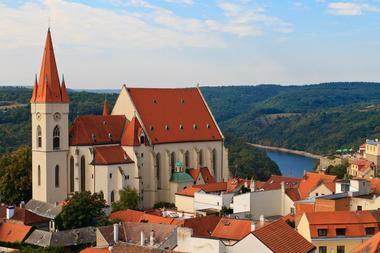 Home to famous Czech composer Leos Janacek and botanist Gregor Mendel, this lively city boasts galleries, museums, universities, cafés, and festivals. Points of interest include Spilberk Castle, a 13th-century castle turned 17th-century fortress, known to be a notorious prison. Villa Tugendhat, a UNESCO World Cultural Heritage Site; the Underground Labyrinth Under Cabbage Market, a system of interconnected cellars beneath the Cabbage Market; and the Ossuary of St. James' Church, a charnel house for unearthed remains, are among many other cultural attractions. 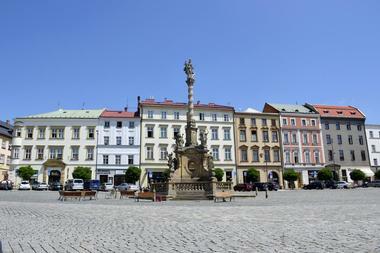 Ceske Budejovice is in the South Bohemian Region of southwestern Czech Republic. The capital of South Bohemia, it was once a 13th-century royal city due to its location on the salt trade route between Linz and Prague. Today, visitors can gather at one of Europe's largest piazzas, named after King Premysl Otakar II, to admire the baroque architecture of the surrounding houses as well as the town hall and Samson Fountain. Other points of interest include the legendary Black Tower, which visitors can climb, the city's salt store, the Cathedral of St. Nicholas, and the Budejovicky Budvar Brewery, which has been using the same brewing recipe for seven centuries. 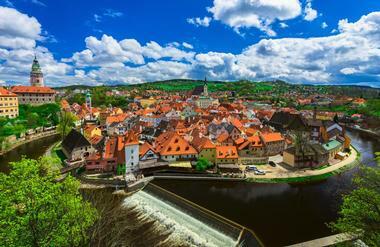 Cesky Krumlov is the crown jewel of Renaissance architecture in South Bohemia. Visitors will want to spend some time exploring State Castle and Chateau Cesky Krumlov and Gardens, a UNESCO World Heritage Site; the castle museum is located in the second of five castle courtyards. Other prominent attractions are the Masquerade Hall, the baroque theatre, and the chateau tower, where visitors will find one of the most spectacular views of the historic town. A visit to the chateau gardens and a performance at the revolving auditorium are must-do experiences. 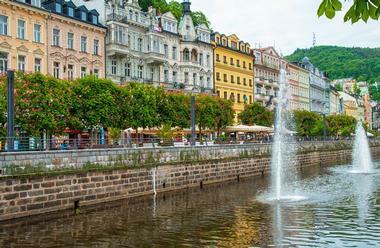 A walk through the old town across the Vltava River reveals its striking medieval character, with narrow lanes, traditional shops, and colorful townhouse façades. 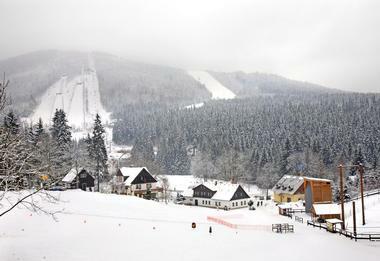 Harrachov has been characterized as the pearl of the Krkonose Mountains. It is associated with an international venue for competitive ski jumping on Certova Mountain. Among the competitive ski events on the mountain is the Ski Jumping World Championship. The famous ski jump tower's silhouette against the mountain sky is an exhilarating sight. Visitors can ski and snowboard here as well as engage in other winter activities like bobsledding, playing squash, bowling, and simply relaxing. There are also 30 km of cross-country skiing trails around Harrachov. Points of interest include the cableway from Harrachov to Certova, and the Harrachov Waterfall. 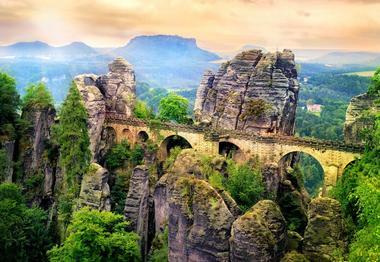 Hrensko is a Czech border town with Germany and the gateway to Bohemian Switzerland National Park. Its location at the confluence of the Labe and Kamenice rivers makes it the lowest point in the Czech Republic. The charming town sits amid towering canyon walls and extraordinary natural beauty. Hrensko is the jumping-off point for those who want to see Pravcicka brana, Europe's largest natural stone bridge, and the Kamenice River gorges. Exploring the gorges as a tourist attraction began with a Hrensko pub wager in 1877. Since then, thousands of tourists have explored Edmund Gorge by foot and boat, with many continuing on to Wild Gorge. 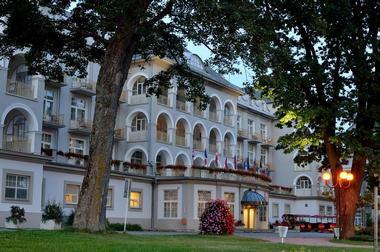 Jesenik is the place to go to begin feeling one's best. Jesenik Spa in the Jeseniky Mountains is famous for its clean mountain air and for being the birthplace of balneology (hydrotherapy in medicinal springs). There is no industry in the area, and neither smoking nor pets are allowed in the town. The spa has a reputation of success in treating respiratory, psychological, and circulatory problems. Even great historical figures have taken treatments here. Modern treatments are tailored to guests' needs, and visitors will also want to stroll the terraced balneopark and indulge in spa treatments, take in the mountain air, and explore the Gothic Chateau Jansky Vrch and the Rejviz Nature Reserve. 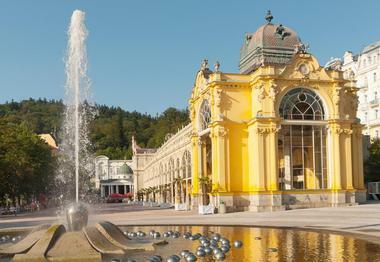 Karlovy Vary is a health care tourism destination in the Czech Republic. Travelers in need of gastroenterologists, eye specialists, dentists, plastic surgeons, and infertility specialists flock here for major and minor procedures. This luxurious city has a high concentration of therapeutic colonnades and springs, and there are 22 scenic walking tours available that differ in both length and difficulty. There is also a large concentration of golf resorts here. Other points of interest include the butterfly house, the baroque Church of Saint Mary Magdalene, the Byzantine-style Orthodox Church of Saint Peter and Paul, and the town theater. The best views are from the Diana Observation Tower and the Deer Jump Lookout. This phenomenal natural area is a significant European bird sanctuary, a UNESCO Biosphere Reserve, and a world-renowned paleontological site. 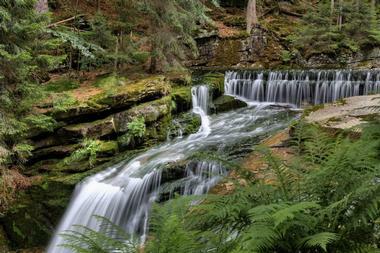 Krivoklat is in Central Bohemia in a densely wooded area surrounding the Berounka River. It's the ideal getaway for nature lovers and naturalists interested in the diverse animal and plant life of the area or simply in the awe-inspiring natural beauty. Paleontologists will appreciate examining the plants and understanding the development of the area's Cambrian plant life. Krivoklat is a great adventure for bird watchers, alpine hikers and backpackers, and conservationists. Photographers, writers, and other artists will also appreciate this protected area. The Krkonose Mountains are the Czech Republic's highest mountain range, and Krkonose National Park is a UNESCO Biosphere Reserve. This picturesque alpine range appeals to a variety of travelers. Many come for the natural beauty of its verdant valleys, mountain meadows, scenic rocky ridges, deep glacial hollows, alpine pools, stunning waterfalls, and diverse flora and fauna. The rugged landscape and harsh beauty also challenge mountain and ice climbers. Skiers and other winter sports enthusiasts flock to the area to experience the groomed downhill slopes, network of cross-country ski trails, mountain resorts with modern amenities, and entertainment parks. Others come for the village culture, mountain serenity, and restorative wellness centers, salt caves, and aqua parks. Kutna Hora is a city in the Czech Republic that was placed on the UNESCO World Cultural and Heritage List in 1995 due to its historical significance and unique architecture. It is known as the silver treasury due to its mining history, and is considered a true gem of the country, featuring varied architectural styles and diverse buildings from several historical periods. The town's center is its focal point, showcasing two UNESCO World Heritage list cathedrals, the Cathedral of the Assumption of the Virgin Mary and the Cathedral of St. Barbara. 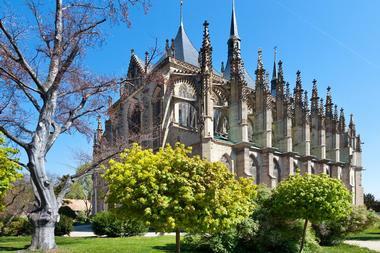 Several tours of the city are offered to visitors to explore the churches, palaces, statues, and bridges. The Liberec Region has four distinct tourist areas, Bohemian Paradise, the Ceska Lipa area, the Giant Mountains, and the Jizera Mountains. The city of Liberec is in the center of the region, providing visitors with magnificent historic architecture and the famous mountaintop hotel, Jested. It is also where a variety of cultural activities take place, from modern attractions such as theatre presentations, concerts, and festivals to several museums showcasing the area's rich history and folk festivities. 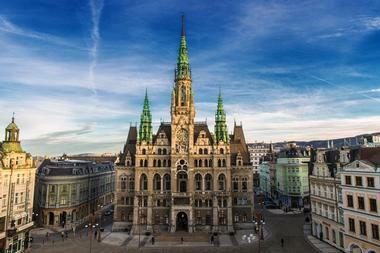 Liberec's various mountain ranges offer guests amazing skiing opportunities with resorts in Bedrichov and Harrachov. 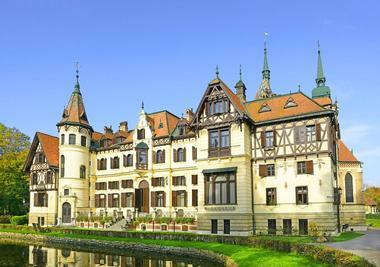 The Ceska Lipa and Bohemian Paradise regions feature castles, chateaus, rock formations, and religious monuments. Marianske Lazne is located in the westernmost point of the Czech Republic, featuring magnificent parks, unique architecture, and a vast number of cultural, sporting, and entertainment activities. The city is best known for the more than 100 natural mineral springs that surround the town, plus 40 within the town. The distinct chemical compositions of the water of each spring allows for a multitude of ailments to be treated. A few of the springs are sheltered by colonnades and pavilions, creating a picturesque spa ambiance. Aside from the natural springs there are a few must-see highlights in the area, including the Singing Fountain, Park Bohemian, and the Hamelika Lookout Tower. Mikulov is an idyllic city for tourists who want to indulge their senses in the history that is embodied by everything, from the architectural monuments to the delectable wines provided from the rich viticulture. For those who love nature and staying active, the more than 700 mile of cycling paths and the Nove Mlyny lakes, which provide lagoons for swimmers, sailboat riders, and fishermen, are ideal. Mikulov also features various educational paths that showcase the natural beauty of the area interspersed with magnificent monuments such as Dietrichstein chateau, the Dietrichstein tomb, and Kozi Hradek (Goat Tower). As a prominent wine region, visitors will also enjoy various wine-tasting experiences, festivals, and events. 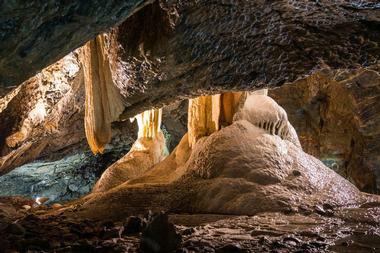 The Moravian Karst is a protected landscape area and one of the most significant karst areas in Central Europe. It features over 1,100 gorges and caverns, but only four of these caves are available for the public to explore, namely Punkvevni Jeskyne, Katerinska Jeskyne, Sloupsko-sosuvske Jeskyne, and the Balcarka Cave. The Punkvevni caves can be seen while on a cruise along the underground river, and viewing the world-famous Macocha Abyss is a trip highlight. Katerinska is known for its unique and intriguing limestone columns, while the Sloupsko is known for its underground gorges and gigantic corridors. The Balcarka Cave is the most colorful of the group, with beautiful stalactites. 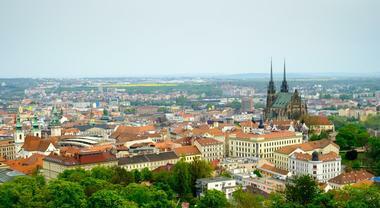 Olomouc is the sixth largest city in the Czech Republic and one of the most prominent cities of the Bohemia Kingdom. It is well known for its ancient university and cultural, spiritual, and craft traditions, making it an attractive locale for intellectuals, artists, and businessmen and women. It is situated in the heart of Moravia, featuring a wealth of attractions including multiple parks, a large zoo, swimming arena, modern Aqua Park, and the nature reserve Litovelske Pomoravi, which boasts many cycling and walking paths. Visitors will also find the Moravian Philharmonic Orchestra, an archdiocese, and a plethora of theaters and museums in Olomouc. Ostrava, located in the northeast of the Czech Republic in the heart of the Moravian-Silesian region, is the third largest city in the country. 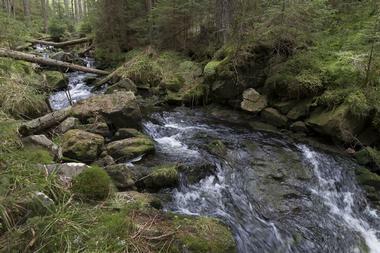 It also rests on the banks of the Ostravice River, providing awe-inspiring views of Beskydy Mountains. 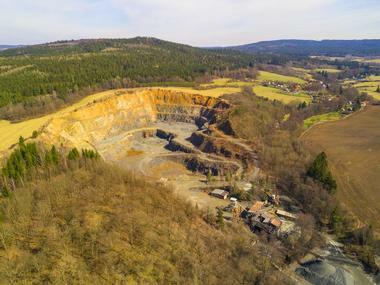 The city was first founded around 1267 and was known as a coal mining epicenter from the 18th century until the mid-90s. Today, visitors will enjoy exploring the city's industrial ambiance, featuring museums where the mines once stood and other cultural and historical highlights. These include the Mining Museum Landek Park, Silesian Ostrava Castle, and the New Town Hall Lookout Tower. The city of Pardubice sits in the Labe lowlands where the rivers Labe and Churdimka meet; it is covered with meadows, small forested areas, and historic canals, creating a landscape similar to a grand chateau park. Pardubice is best known for its gingerbread, horses, and sports, featuring several indoor and outdoor entertainment spaces for bowling, golf, squash, riding, and climbing. The focal point of the city is Pernstynske namesti, the town's square, which is surrounded by magnificent Renaissance houses. 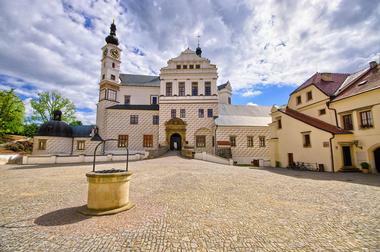 As a horse town, the stud farm in Kladruby nad Labem is a must-see attraction as well as the Great Taxis Ditch. Additional highlights include the Zelena Gate lookout platform and the Aquacentrum Pardubice. Pilsen is an ancient city with over 700 years of history, a gleaming modern metropolis and, of course, the birthplace of the world-famous golden lager, Pilsner. Visitors can visit the Pilsner Urquell Brewery, where they can enjoy a pint of this classic brew straight from the source and see how it's made. 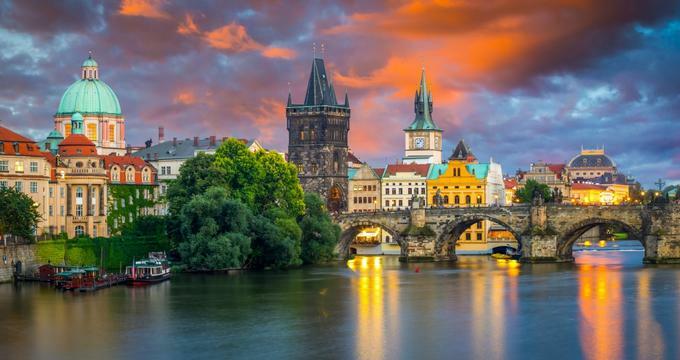 The historical and gorgeous city center is another big draw for tourists, featuring the monumental Gothic cathedral, which boasts the highest spire in the Czech Republic, museums, galleries, the second largest synagogue in Europe, and several historical buildings. 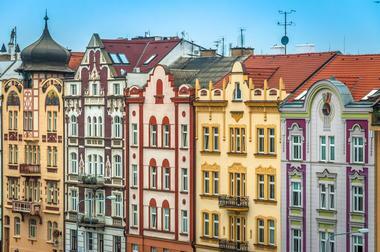 Pilsen is also home to over a dozen world-famous architectural structures designed by Adolf Loos. Podyji National Park is the smallest national park in the Czech Republic and one of the most significant national parks in Central Europe. 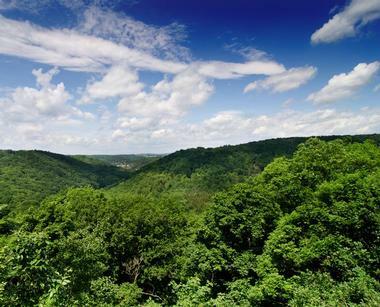 It is a superbly well-preserved river valley surrounded by lush wooded areas providing gorgeous scenery. The Dyje River is the focal point of the park, and on its banks tourists will notice meadows, rocks, vineyards, and sunny orchards filled with fragrant fruits. Its mild climate, ample sunshine, and natural protective shield allows for animals and plants to live and thrive in the park with ease. Many hiking trails can be found throughout the park as well as hidden gems such as the mysterious ruins of Novy Hradek. Saxon Switzerland is part of the Elbe Sandstone Mountains and Czech Republic's youngest national park, providing visitors with woodland hiking trails and one-of-a-kind mountain landscapes. 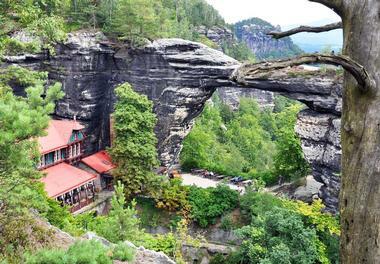 Its most well-known symbol of Bohemian Switzerland is the dramatic Pravcicka brana rock formation, the grandest sandstone arch in Europe. Walkers will find this impressive figure a little after Schmilka, in Hrensko, which is just beyond the German-Czech border, where they'll also find gorgeous views spanning all the way to Rosenberg from the base of the arch. The national park's gorges, Kamnitz and Edmund, are main attractions, offering visitors a chance for a unique canoeing experience. Sumava National Park is located within the Bohemian Forest, part of the Czech Massive, an area that makes up roughly one fourteenth of the entire Czech Republic territory. It's located in the southwest corner of the country, where the Sumava Mountains reside. Sumava National Park is the largest in the Czech Republic, consisting of large-scale evergreen and mixed forest areas as well as several unique wetlands and glacial lakes. Visitors will enjoy various hiking pathways and trails, which boast picturesque views of the natural beauty. The park also features a few designated biking trails, and watersports can be enjoyed on the Vlatava and Otava rivers. The Zlin region is one of the smaller areas in the Czech Republic and is located in the eastern part of the country. It is one of the most interesting and culturally diverse regions of the country, featuring several stunning cultural, historical, and natural monuments. Visitors will find everything from mountain ranges, vineyards, and garden architecture to various religious monuments, historically prominent buildings, and the remains of the Great Moravian Empire. Some of the area highlights include the Wallachian Open Air Museum, the Archiepiscopal Chateau of Kromeriz, and the Buchlov Gothic Castle. Znojmo is a magnificent historic town in a dramatic setting above the Dyje River, it is surrounded by medieval walls, which provide the rich Renaissance atmosphere of the village. Centered in the middle of the wine region, the area is full of historic churches, crooked lanes, and nooks and crannies that offer awe-inspiring views of the surrounding areas. Its most prominent attraction is the Romanesque Rotunda of Our Lady and St. Catherine, which dates back to the 11th century, located within the Znojmo Castle. The most unique attraction is the Underground, 18-miles of corridors stretching beneath the majority of homes, squares, and streets, where tours focused on ghosts and fairytales take place.